It’s like having a portable personal trainer ready to train anytime, anywhere. Choose from literally 1,000+ workouts. 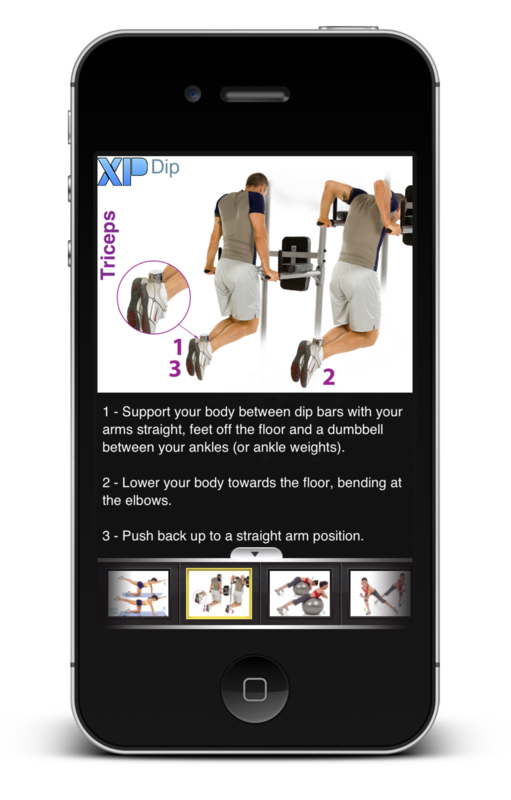 Navigate your workout using crisp HD pictures, videos, and descriptions. Compatible for iOS and Android. Begin at either the beginner, intermediate, or advanced level and navigate through a series of progressing programs at your own pace. Log workouts to save your weights and reps in exercise history. "I can't believe how far I've come." "I hit my goal. Wow. Just an amazing feeling." The XP Fitness Challenge App is the ultimate test of your training willpower. Compete with yourself and others to accumulate points, XP, by recording your completed strength, cardio, intervals, and rejuvenation workouts.